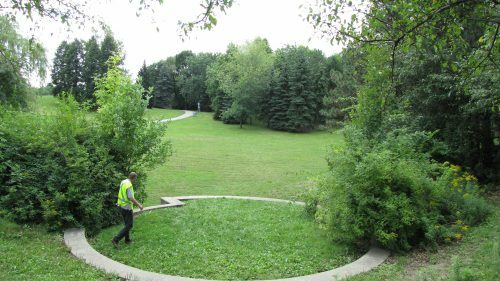 Toronto Water manages, operates and maintains 85 stormwater management pond facilities across the City. Control erosion by limiting the amount of stormwater that goes to nearby creeks and rivers. Improve water quality by allowing dirt and other solids in stormwater runoff to settle to the bottom of the pond. Wet ponds hold water all the time, and are designed to collect and store runoff from rain and melted snow. This allows dirt, sand, silt and other solids in the runoff to settle to the bottom of the pond, which improves the quality of water released back into creeks and rivers downstream. 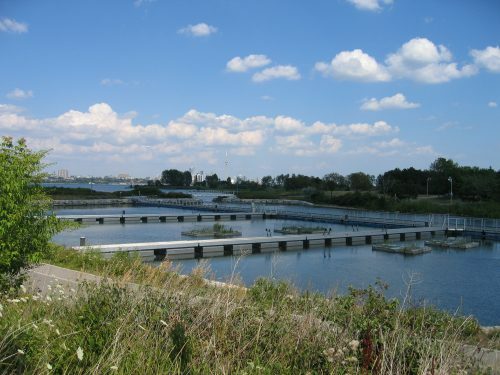 The Earl Bales Stormwater Management Pond is one of the largest facilities of its kind in Canada. 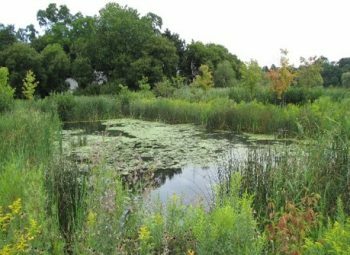 The City also operates two larger wet ponds near Lake Ontario that feature an additional “flow balancing system,” which directs the flow of stormwater runoff through different cells. These cells help to support the settlement process and clean the runoff before it is released into Lake Ontario. These ponds can be found in Humber Bay (Etobicoke) and Bluffer’s Park (Scarborough). Dry ponds are dry and often found in wide open spaces. These ponds are equipped with gates that close off access to local storm sewers and direct water to the detention area during periods of heavy rain. Once the storm has stopped and water levels have decreased, the gates open and water is directed into the storm sewers.